I loved Michael and Victor's professionalism and their ability to just let us be and make the process super natural and comfortable. My husband and I had fun during our wedding day and it was really nice to not have to stop and pose for 20000 photos we didn't even find necessary. Michael led us through the process and gave us an amazing end result! 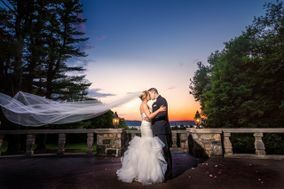 My wife and I were recommended to Montclair Studio from a family friend and after initially speaking with the team here we got a good sense of what to expect and what options we had for our wedding. 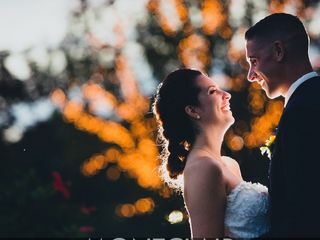 It was almost surreal how easy the experience was and how friendly the staff was in the process leading up to our special day.. Our wedding video and photos came out excellent. I'd recommend using Montclair Studio for any of your photography/videography needs. Thanks again to Michael and his team for the great job they did! We got married on 28/06/18 and our photos are so lovely! I love every picture so much and cannot wait to see the video. We had Christopher and he was a hell of a guy. He definitely knew what to do and we really appreciate his professional guidance during the day. Thank you 5 Star! When it came to choosing our photographer, we very very picky on our choice. Michael and Shan were amazing to work with from the time we booked the company more then a year away , up to the wedding day and then to getting our images. Their prices were very reasonable and we would choose them again if we had too. We recommend visiting them and getting a chance to talk to Shan or Michael! From the moment we went to our first meeting with Michael, he gave us every single tool to make the day as smooth as possible. We discussed pricing, our vision and how the day should go. This took such big weight off our shoulders because we were able to just relax and enjoy. The process was very fun and memorable. Michael and his crew were amazing. They met with us beforehand, walked us through shots and videos from our venue for previous events, and were always responsive and available whenever we needed anything leading up to the wedding. When the day itself came, they couldn’t have made things any easier. They were professional, polite, and even our guests commented on what a solid job they did throughout the night. These guys are the absolute best, and didn’t force us to break the bank either. I really can’t say enough positive things about these guys, And we haven’t even seen our pictures yet! We got the photography and video package with albums for my wife and I and both sets of parents. We cannot wait to see the finished product(s)!! Montclair Studio really exceeded our expectations with the quality, level of service, and professionalism. Shan Kadkoy and his team of photographers and videographers are so fun, creative, flexible, and easy to work with. From pre-wedding shoots, to drone footage, to the reception, they captured every golden moment on camera. We highly recommend working with this team of professionals. Their lenses invite everyone else to truly see your big day! We have had a very pleasant experience working with Shan and with Michael. From the time of our initial meeting up to getting our album they have been easy to work with . I would recommend them to any bride . Thank you ! 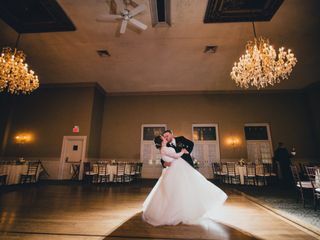 I just got married a few weeks ago, and I just have to share that choosing Montclair Studio to capture the event is one of the best decisions I ever made! What an amazing group! They arrived at my house with a plan and stuck to it. They knew exactly what shots I wanted without me having to say anything and knew exactly how to execute the perfect pictures. Everyone in my bridal party was so impressed! One of the photographers, Peter, even stayed a little late to take pictures of me and my husband with each table of our large group of guests (it was a "Big Fat Greek Wedding"). After the event is over, the pictures are proof of the memories...they are what will last. 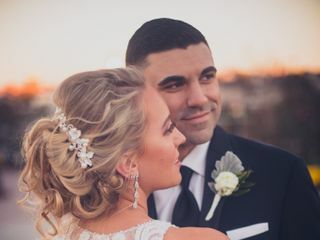 So do yourself a favor and look no further than Montclair Studios to capture the moment. Thank you Montclair Studio! Thank you for your review . We loved being a part of your wedding day ! I would definitely recommend Montclair Studios to anyone planning a wedding! My husband and I can not say enought about them! They were so kind and fun! We took pictures before the ceremony and we literally laughed all day with them! They made it fun and relaxed! 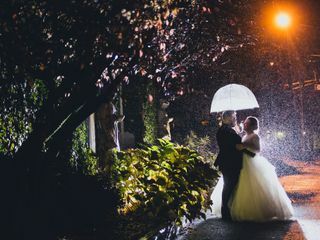 They went out of their way to get amazing unique pictures! Highly recommend!! Thank you for your kind words ! We loved being a part of your wedding day as well. They really did a fantastic job! We just got our highlight film, and I have watched it at least 5 times already this morning. I seriously have the biggest grin on my face each time I watch it, it's so AWESOME!!! They really did a fantastic job with the video. We haven't gotten our pics just yet, as it's only been 3 weeks, but the few they've sent over as a teaser, they are absolutely stunning already. So very very pleased with this company. They really did a fantastic job! What an amazing experience! We loved working with the team at Montclair Studio. Easy to communicate and very friendly. They made our day so much more easy and fun! Michael and team did a wonderful job with our pictures and videography. They were very efficient but we never felt rushed. They made us feel at ease during the day and were never intrusive. They did a wonderful job of capturing our friends and family and we loved our couple portraits. Both my husband and I were worried about feeling awkward in front of the camera, but the team made everything feel very natural. We selected their two photographer and one videographer package, and I highly recommend our choice. We loved the video as well and I’ve probably watched it a million times already. They were also very accommodating with answering all of our questions, and quickly offered to fix a mistake I made with the video editing (after I sent the wrong song). Thanks again, Michael and the rest of Montclair Studio! I can't say enough amazing things about Montclair Studio! I've always seen their gorgeous photos online and just knew we had to book them for our wedding day - and they are extremely affordable! Michael and his team are so friendly and nice and willingly to work with you anyway you want! Our engagement photos came out beautiful and I know our wedding photos will too! Michael was on time the day of our wedding, knew what photos to take while I was still getting ready and kept our bridal party moving right along all night! We had so much fun with Michael taking photos - he's so funny and takes any photo you ask him to. My husband & I highly recommend Montclair - in fact, two couples we're friends with booked with them! Such a pleasure to work with, thank you!! 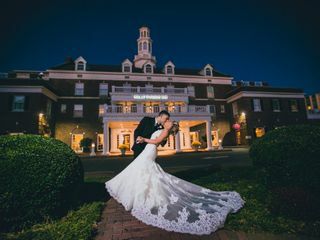 We are so glad we chose Montclair Studios for our wedding photos. They were very easy to work with, and were committed to capturing our wedding the way we wanted. Michael and his staff are very professional and we couldn't be more satisfied with the way everything worked out. We did our engagement photos with them as well and those also turned out amazing. The photo booth was a cool touch and our guests loved it! We highly recommend booking Montclair! Michael is wonderful. From the moment my fiancé an I met him, we knew he was better than the rest. He made everything about us and what we wanted and expected of our wedding photography (not about how many awards he'd gotten or how other couples had changed their wedding date because that photographer wasn't available). He's very responsive to email and very flexible with all our requests. We love working with him! They were so amazing in helping us before, on the wedding day, & even after. Michael & his team were very responsive, respectful, profession, on time, & made me and my husband feel very comfortable on the day of our wedding. Even after our wedding the whole team was still very nice & responsive to any questions we had. We received our photo & album very soon after the wedding. I was amazed with how good the quality was. Our album was absolutely perfect. I would recommend Michael & his team to any bride. 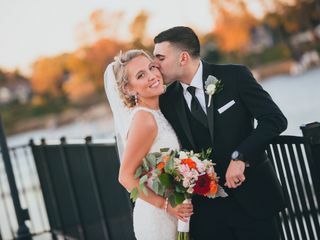 You will not have to worry about anything photo related if you choose Montclair Studio, it will be one less thing to worry about cause you can trust them 100% to capture every moment of your special day. We were in very good hands with Michael and the Montclair Studio team for our recent wedding! From the engagement session to the post-wedding communication, the team has been so easy to work with. We are very happy with the photos we’ve received thus far for the engagement session and can’t wait to see the photos and video from the wedding! Once of the nicest things about working with Montclair Studio was their calm presence – it’s very appreciated on a hectic wedding day. We also felt our photo/cinema package was very reasonable given the quality and amount of work that you get from it! Thank you Michael for being so great and for capturing our big day! !